For Boulder filmmakers, last Monday was New Years’ Day — the day after the biggest and best celebration of the year, hosted by impresarios extraordinaires Robin and Kathy Beeck. 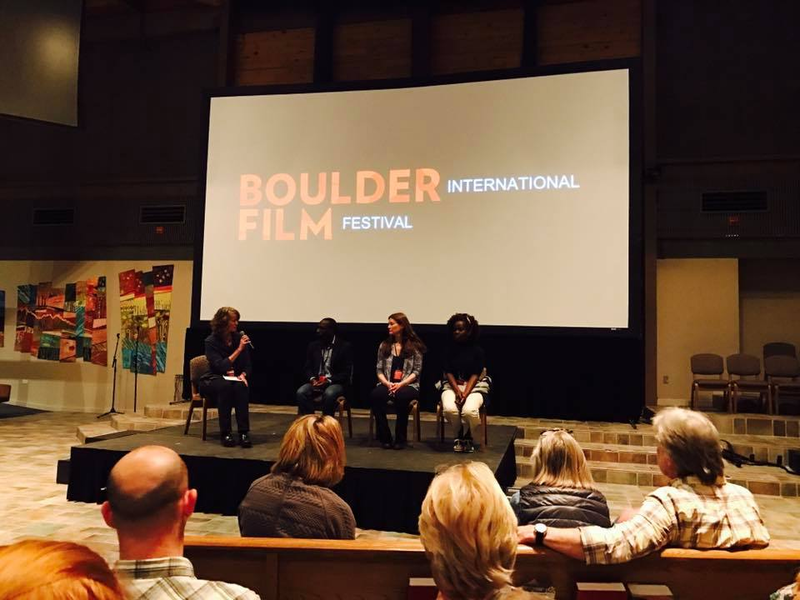 This year’s Boulder International Film Festival (BIFF) was their latest annual triumph, turning Boulder into an ever-enlarging red dot on the world filmmaking map (disclosure: I edited one of the documentaries screened). BIFF’s roster served a delicious elixir of cosmopolitan entertainment and social awareness. We all got smashed. Hopefully it’s not amiss, as we nurse our happy hangovers, to reflect on the stories we tell and consume at such festivals. 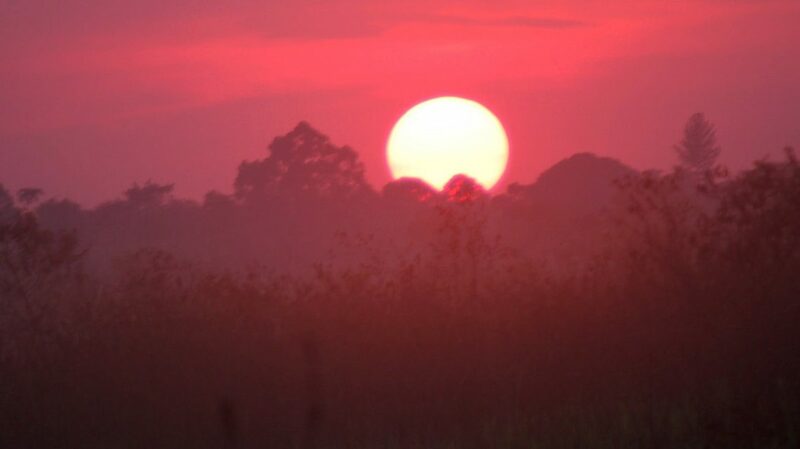 We believe, as makers and watchers, that film is an agent for social change. Films flagged as “call2action” at BIFF featured talkbacks at which local activists brainstormed with the audience to translate message into movement. At several such gatherings, a participant would ask: how can we get Trump to watch this film? As if the simple act of watching would change his mind. Of course, we know it wouldn’t. But beyond a little healthy reality-check, it’s appropriate to ask: what is the power of our craft? Is there a trade-off between telling stories that open others’ eyes and ones that simply make ourselves feel more righteous? Are the objectives of persuasion and entertainment aligned or in tension? I worry that it’s the latter – that if our narratives entertain by congratulating us and preaching to others, instead of challenging us and connecting with others, we end up diminishing our power to accomplish the social change to which our projects aspire. Take for example the festival’s runaway favorite film, “Chasing Coral” — a vitally important movie that won the Audience Award at Sundance as well as three awards at BIFF. It follows a team of filmmakers racing to document, through time-lapse videography, a cataclysmic “mass bleaching” event in 2016 that killed 22% of the corals of the Great Barrier Reef due to rising ocean temperatures caused by climate change. The images they took, shown in the last fifteen minutes of the film, devastate the viewer. The scope of this silent catastrophe is beyond words, and the “Chasing Coral” team has done an inestimable service in capturing it. Yet the 75 preceding minutes focus heavily on the exploits of attractive, white Boulderites building gadgets, making witty repartee, jetting to exotic locales and strapping on adventure gear. It’s “The Amazing Race” for the Patagonia set. Of course Sundancers and BIFFers love it, because it’s all about us, or who we fancy ourselves to be. And we, almost to a person, already understand and agree with the film’s central thesis that climate change is killing corals worldwide. Indeed, the film pretty much assumes this viewer knowledge and orientation from the opening frame. The first character it introduces is a former advertising executive who has been a scuba diver for many years (i.e., a very wealthy person) and who has decided to leave corporate advertising and dedicate himself to publicizing the plight of climate-caused coral death. The film assumes viewers will cheer this choice without question or exploration. It is only at the end of the film, after the devastating time-lapse images, that the film lays out the science of CO2 loading of the atmosphere that causes warming of the oceans, and makes the connection to fossil fuels. And it does so through a montage of talking-head scientists who lecture nearly to the point of scolding. Let’s rewind for a minute. Place yourself in the shoes of a person who is not from Boulder and does not particularly like Boulderites or Sundancers. A person, more importantly, who thinks the theory of fossil fuel-induced climate change may be a hoax, and that ocean warming may be the result of natural cycles. Does “Chasing Coral” change your mind? My worry is that you are so alienated by the assumed politics and liberal cultural markers of the first half-hour that you will never get to the denouement. You will turn away, just as I do when I try to watch a documentary by Dinesh D’Souza or a debate on Fox News. If I were watching a documentary on abortion that opened on a group of filmmakers on a mission to “expose abortionists”, I’d have a hard time not immediately turning the channel, even if the film had more nuanced content later on. I can’t abide the cover, so I never read the book. It’s not just a problem for filmmakers. We all struggle to persuade others across political and cultural divides. We often try to do so by pointing at ourselves – our superior style, education, numerosity, power. In bygone days, we could efface ourselves and “let the facts speak for themselves” – that is, back when facts were, well, facts. Now, it’s undeniably harder. I still believe in the power of an honestly-told story – but sometimes the teller needs to get out of the way. 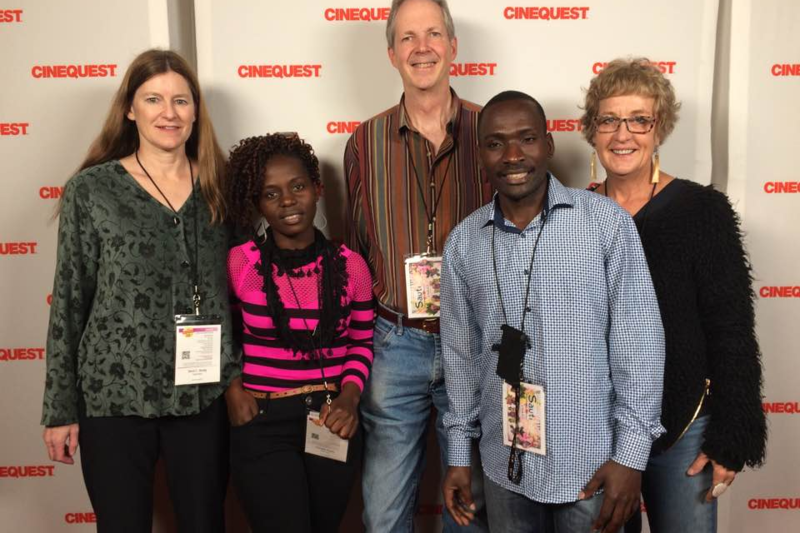 We had a lovely evening showing of Sauti in San Jose. The highlight for me was the presence of Joshua and Favourite, two of the refugees featured in the film. They got to meet other directors, see themselves on the big screen, and tour Stanford campus that afternoon. “I’m starving,” I said, after the screening, as we repaired to a celebratory dinner of steak and sashimi, chicken piccata and champagne. Two worlds, connected by the synapse of media, still thousands of miles apart. Penny & Red premiered at the 2014 Boulder International Film Festival, and screened later in 2014 at the Voices: Women + Film Festival, the Lifetree Film Festival, the Hamptons Take Two Documentary Film Festival, and the L.A. Femme Film Festival. Saya premiered at Austin’s 2013 Cine Las Americas, and screened at the Latin American Studies Association Film Festival in Washington DC. Saya was also an official selection in 2014 at the San Diego Black Film Festival, the Pan African Film Festival, and the Africa World Documentary Film Festival. Surviving the Death Road won Best Documentary Short at the 2013 Third World Indie Film Festival.